For one fabulous evening, we turned our little apartment in New Zealand into an apartment in Trieste! This night has been a long time coming. We have been planning this for close to a year and finally managed to get our act together. Boy, was it worth the wait! 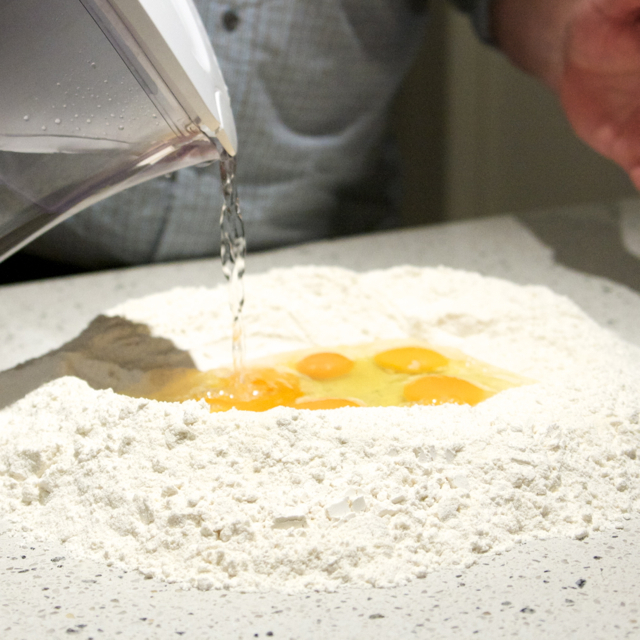 There is so much I've got for you in this post - step by step instructions on how to make pasta from scratch and a bonus "Top Secret Ravioli alla Nonna Pina". I had to jump through hoops to get this recipe for you, so I really hope you appreciate it. Our head chef for the night, Stephen O'Leary, is half Italian. 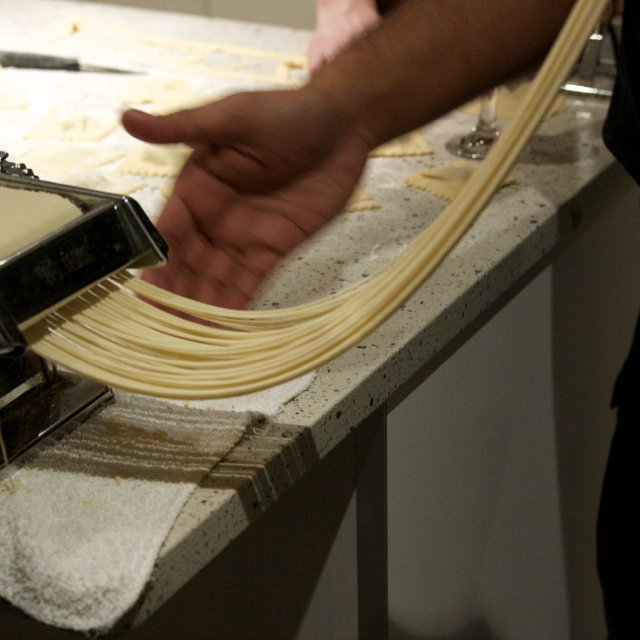 He grew up in a household where his mother regularly made pasta from scratch, so it is in his DNA. The secret ravioli recipe is his grandmother's. 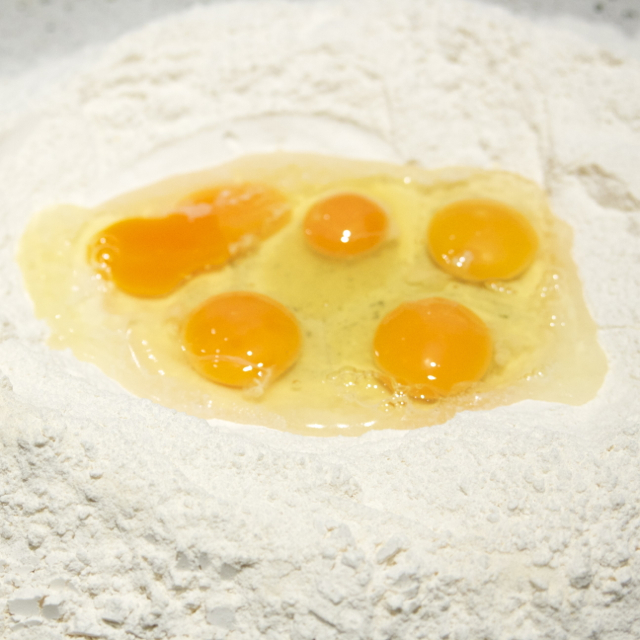 Let's start with the pasta. 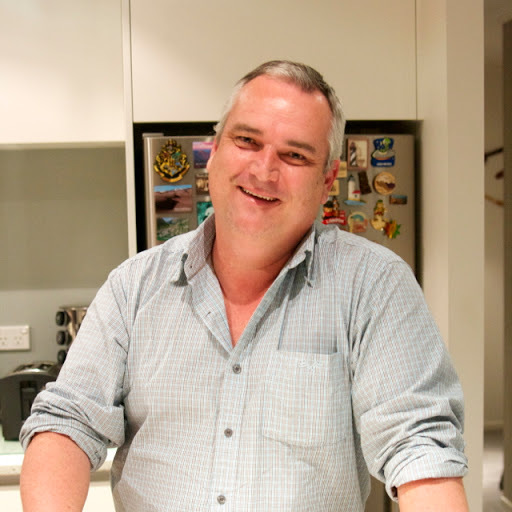 While we were planning the pasta making extravaganza, I asked Stephen how long it would take to make the pasta and he laughed and said "It really depends on how many wines we've all had". Well, it took us all evening, mostly because we were talking loudly in Italian, listening to loud Italian music while drinking large quantities of vino rosso. 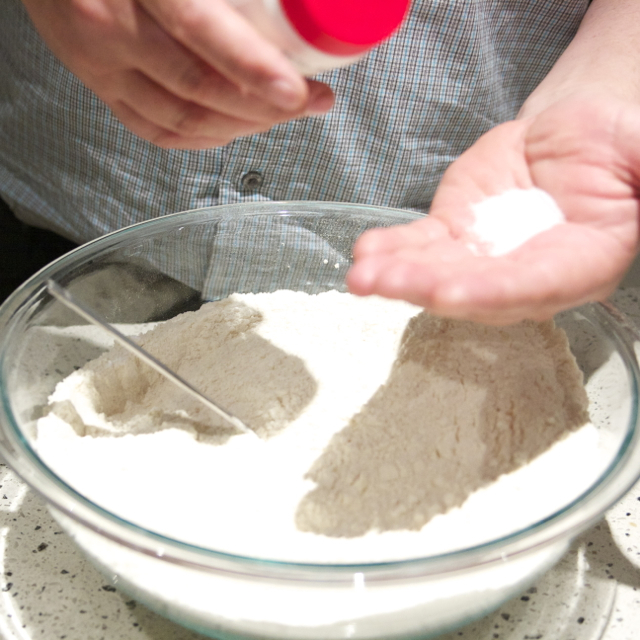 Combine the flour, semolina flour and salt in a large bowl. 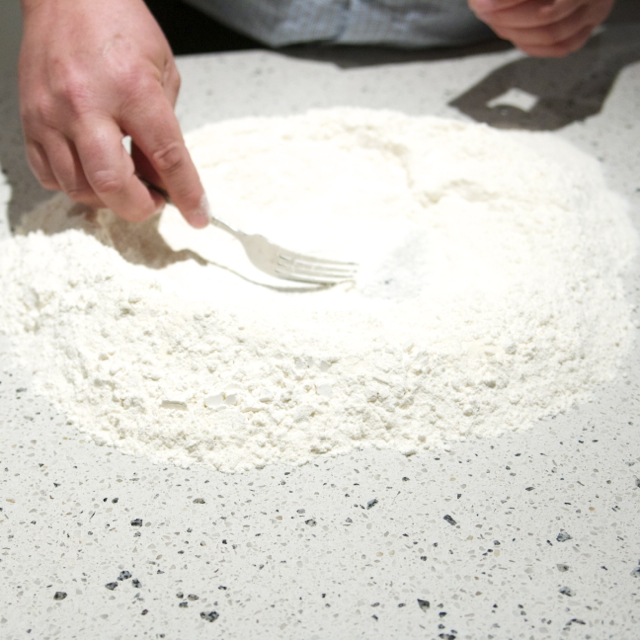 Transfer it on to a clean kitchen counter and make a well in the center. Crack the eggs and add them into the well. Add a little bit of water, not too much. Combine gently with a fork. 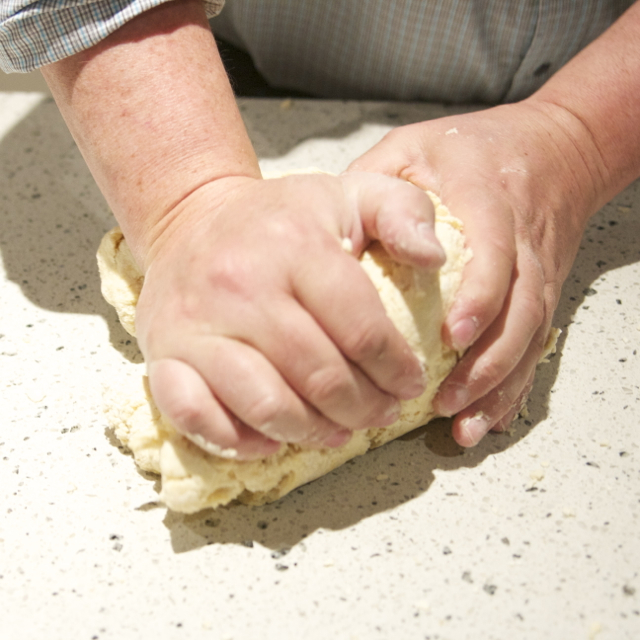 Now get your hands in and knead! 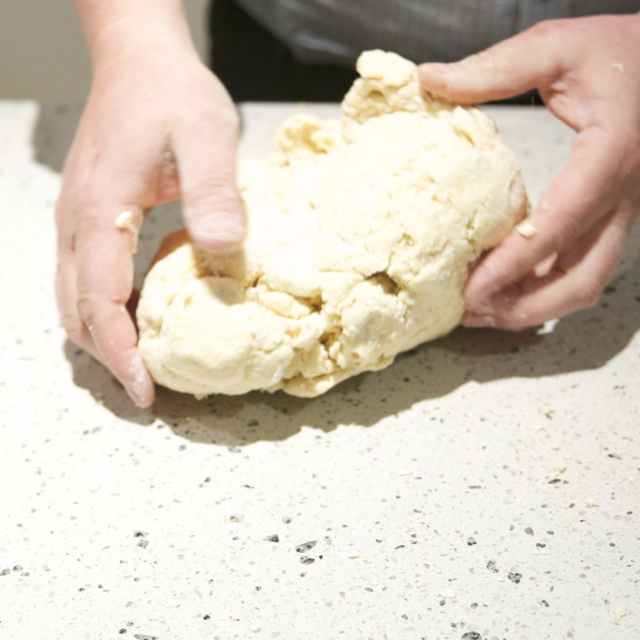 Keep kneading till you can't feel your hands any more. 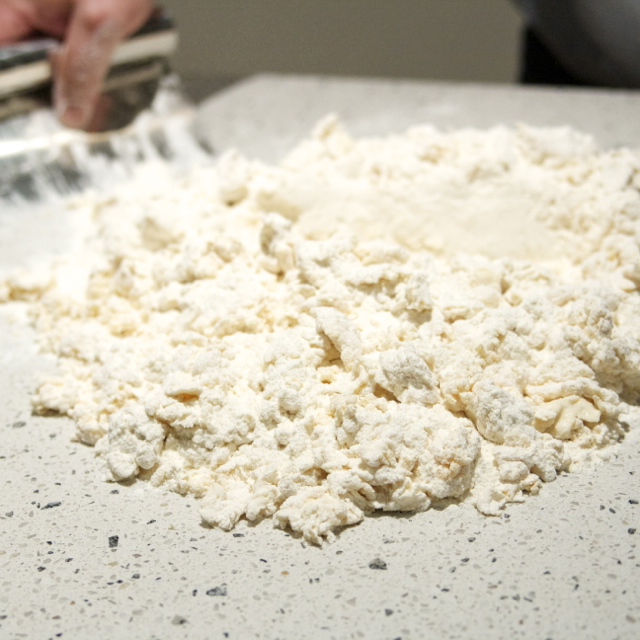 Pasta dough is not a soft dough, it is pretty hard and rugged looking. Wrap this in cling wrap and refrigerate for at least half an hour. There you have it! 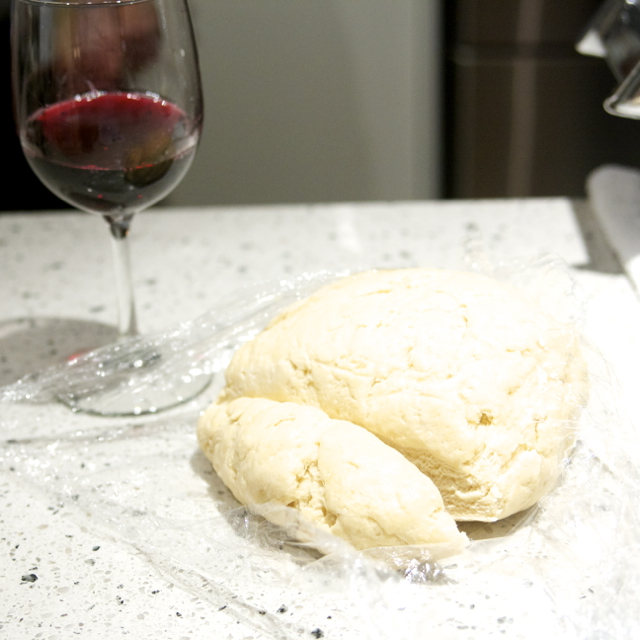 The pasta dough is ready! 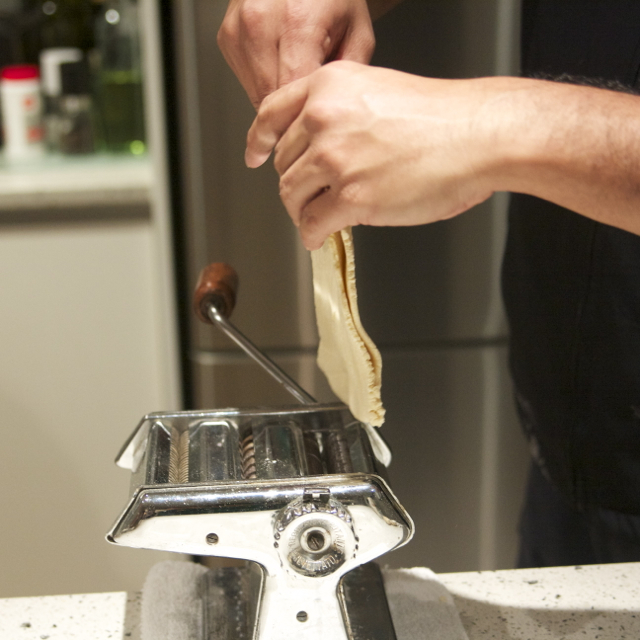 Cut the dough in small manageable bits and process through a pasta machine. 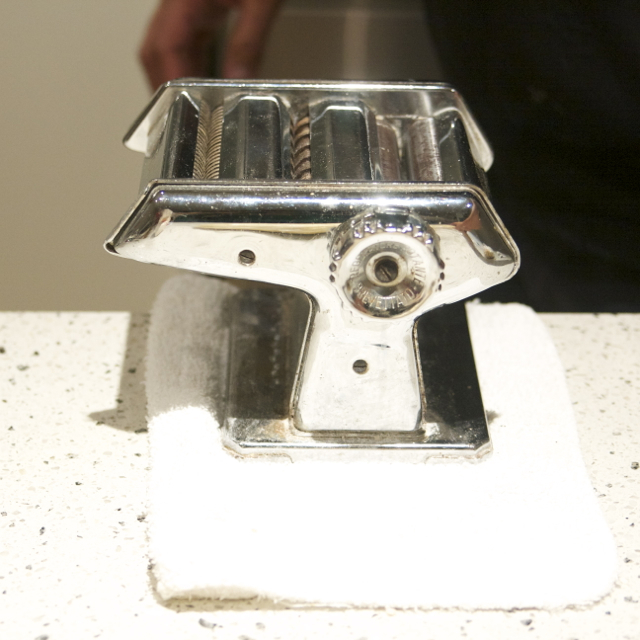 This is not just any ordinary pasta machine. This belonged to Stephen's mother who brought it with her to New Zealand from Italy. ... till you have a nice thin long sheet. 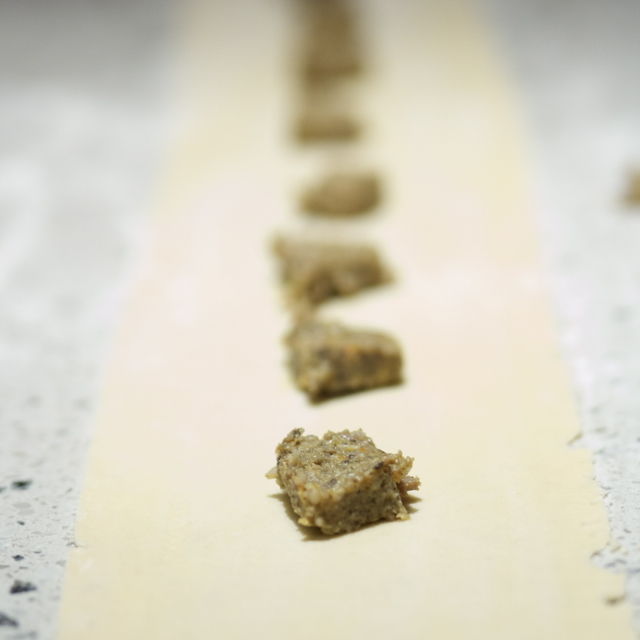 This one is going to be a ravioli so we place the ravioli stuffing in regular intervals (recipe at the end). 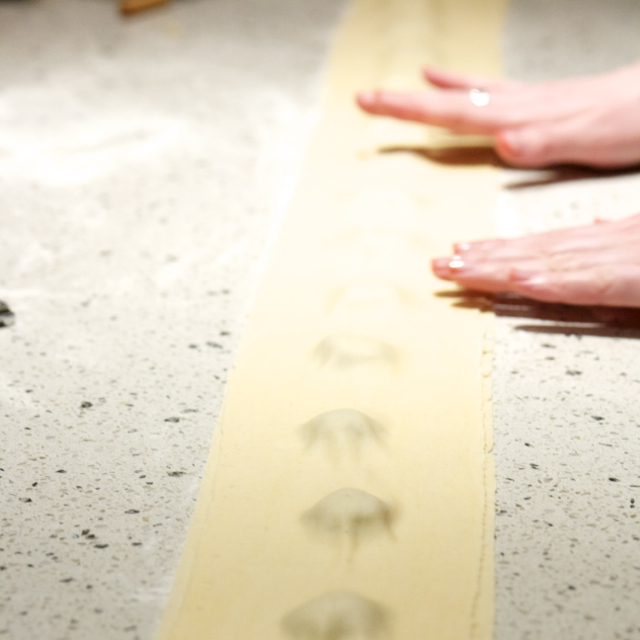 Cover it with another sheet of pasta. Bring a very large pot of water to a rolling boil. Salt it. According to Stephen the water should be as salty as the mediterranean sea. 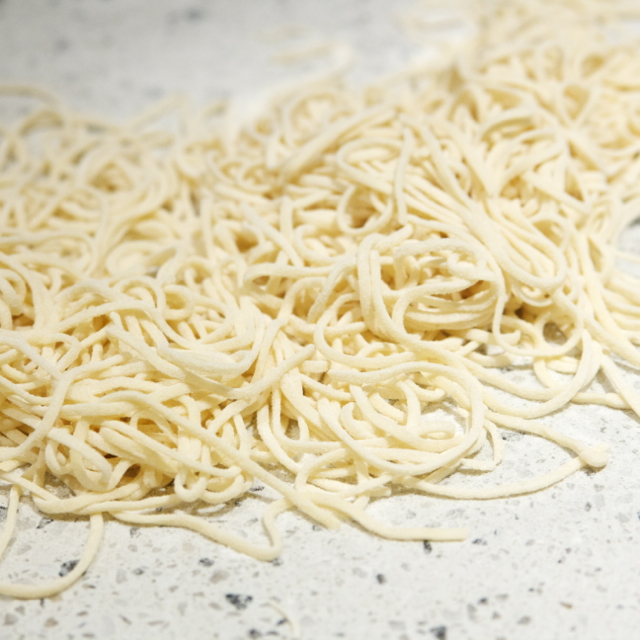 Cook the pasta in it for just 3 to 4 minutes and strain. 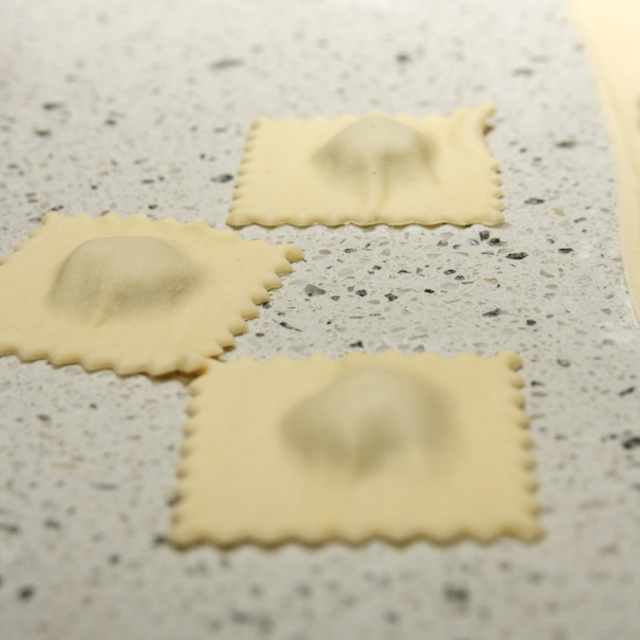 And now for the bonus ravioli recipe! 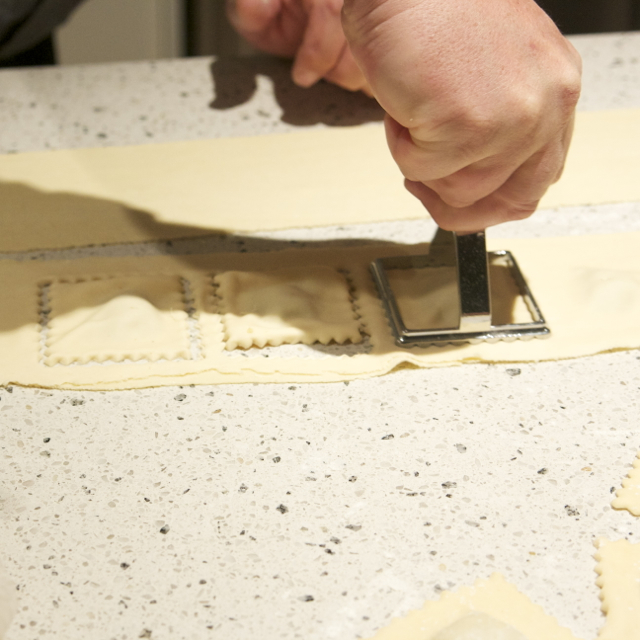 The ravioli was to die for so I had to have the filling recipe and share it with you. Cook onion in EVOO till translucent, add garlic and mushroom, stir a while, then add pork. Cook a wee while then add Sage, Nutmeg, Salt and Pepper. Cook softly but only till the pink has gone. Take off the heat and let it cool some. Put in food processor and mince till almost smooth. 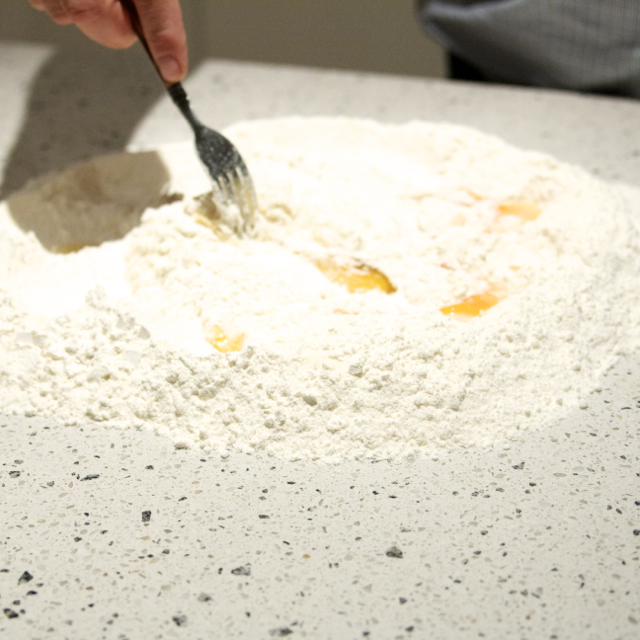 Put back in bowl and add breadcrumbs, egg and Parmigiano Reggiano. Mix till combined. 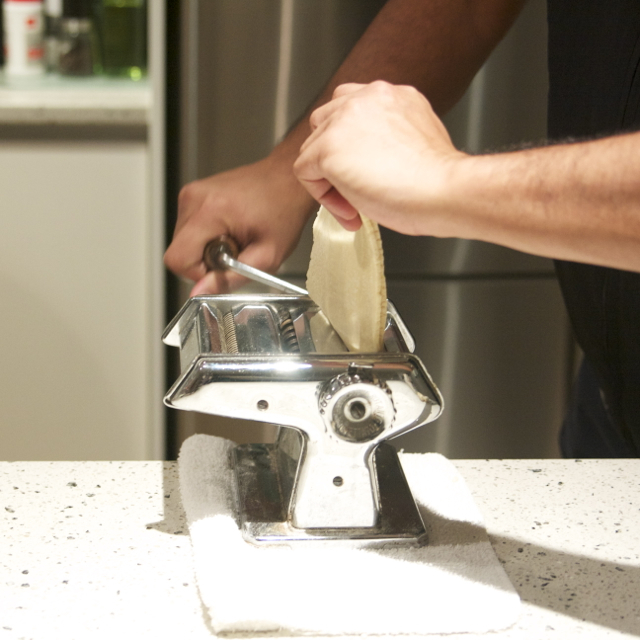 If using right away spoon onto pre-made pasta sheets. If it’s for later roll out into sausages roll up in baking paper and freeze. Many thanks to Stephen O'Leary for contributing to this blog post. 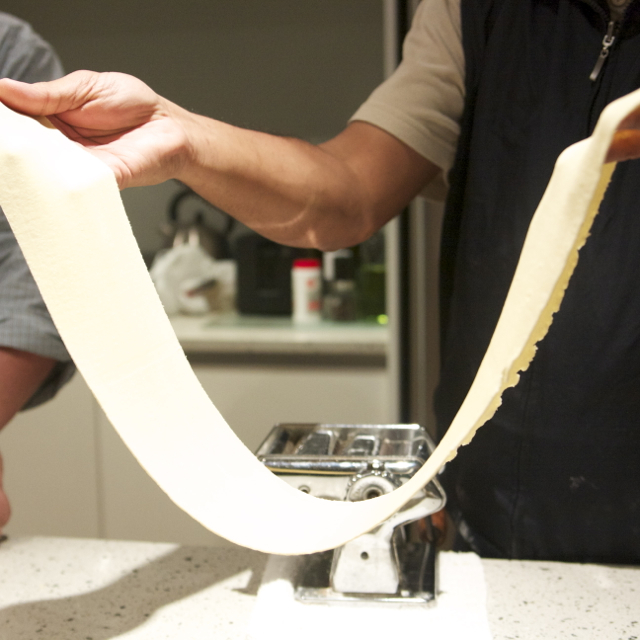 Bach, looks like you had great time making fresh pasta! 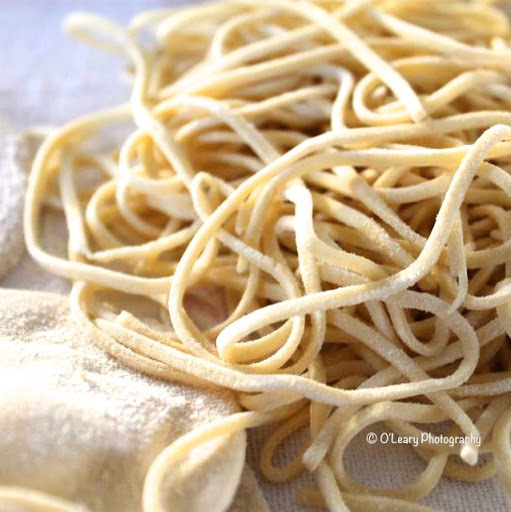 I LOVE to make own pasta and this recipe is sure a keeper!